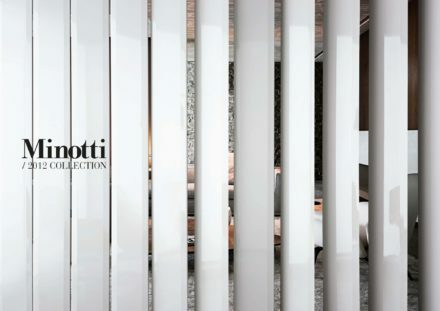 A new aesthetic language, in keeping with Minottti’s unique style, which further strengthens the brand identity. 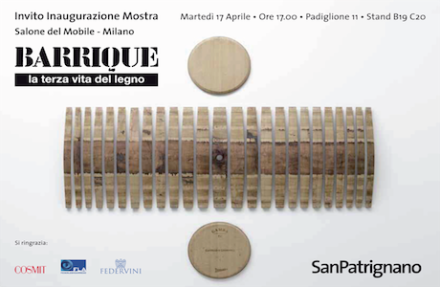 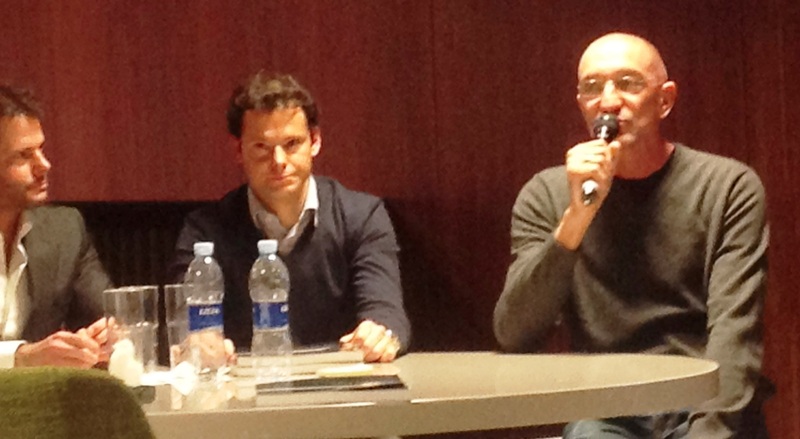 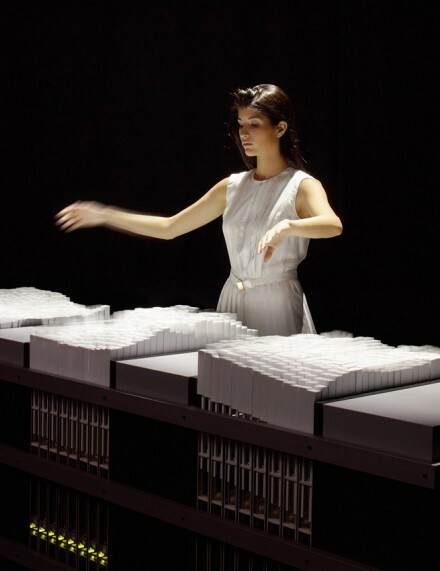 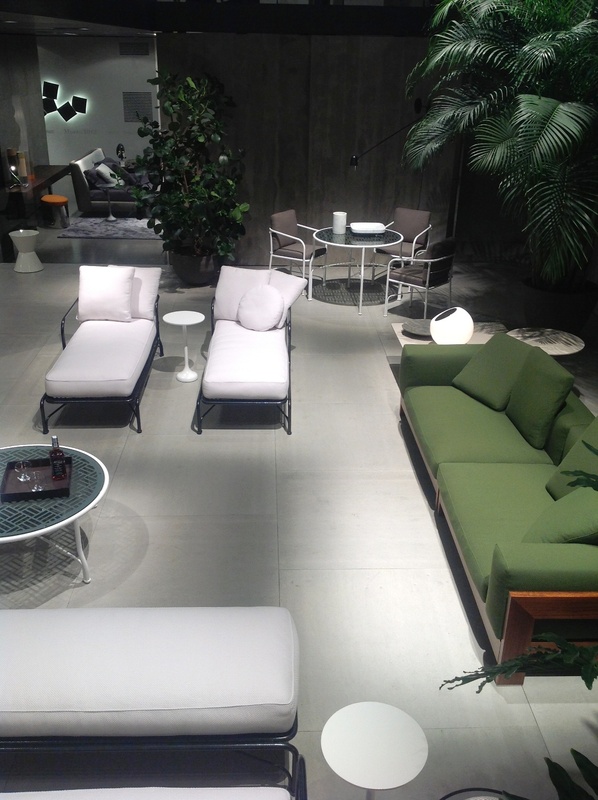 Showcasing at Salone means confirming the strength and clarity of the Minottti marketing strategy. 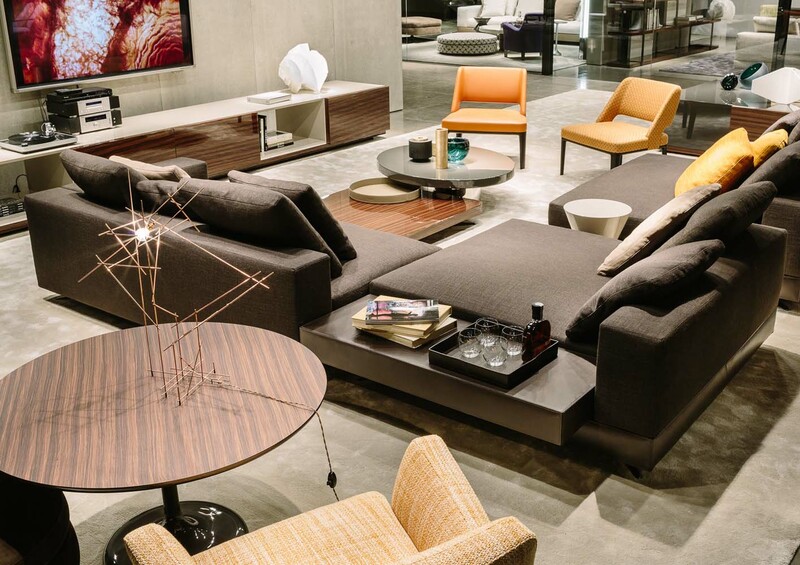 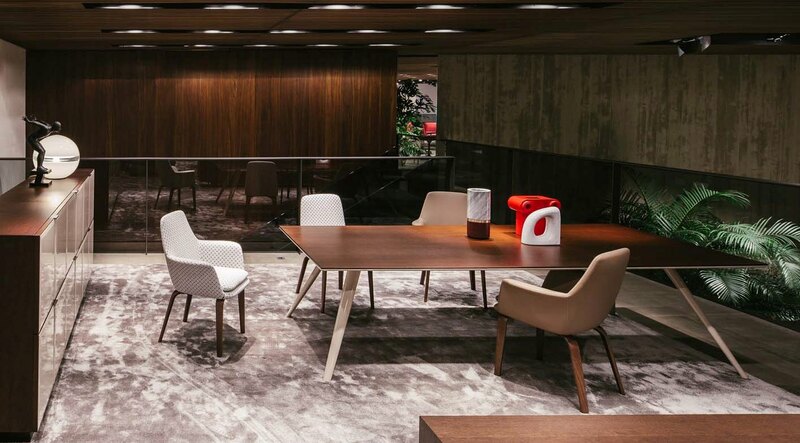 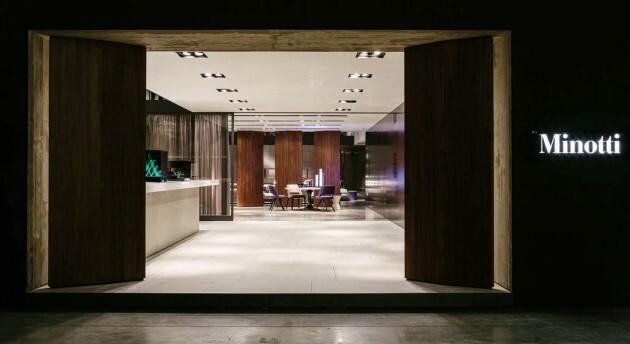 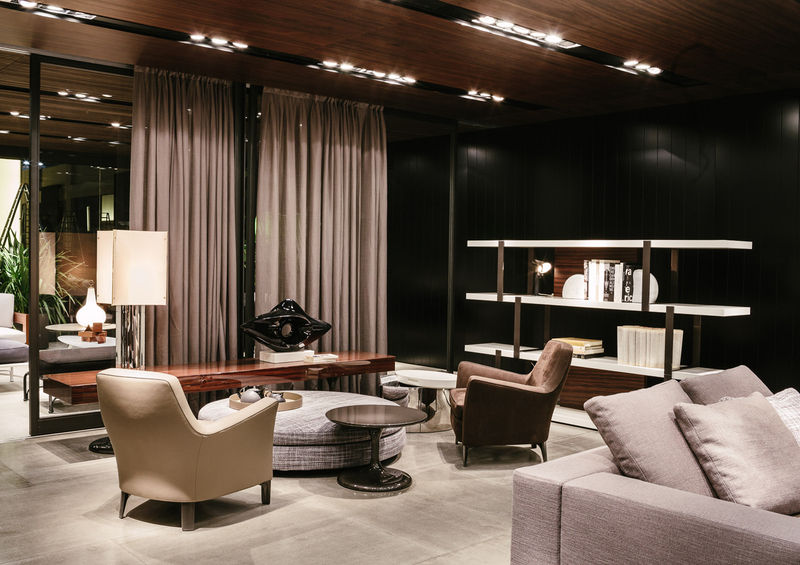 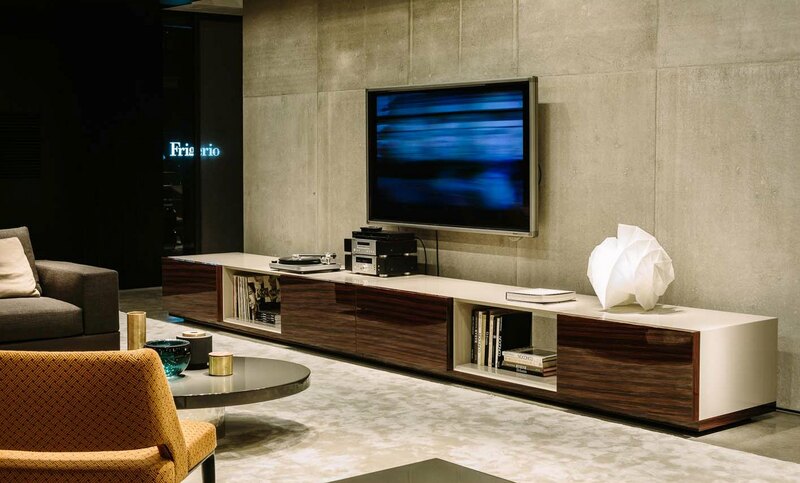 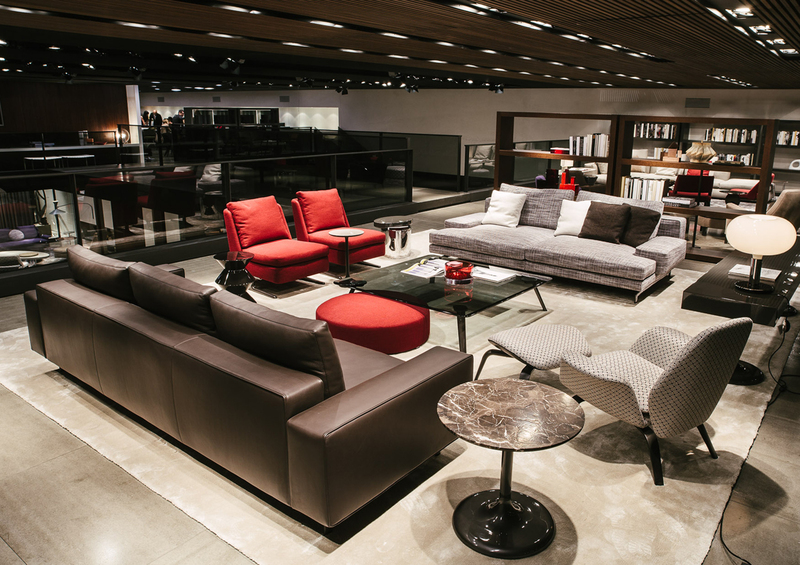 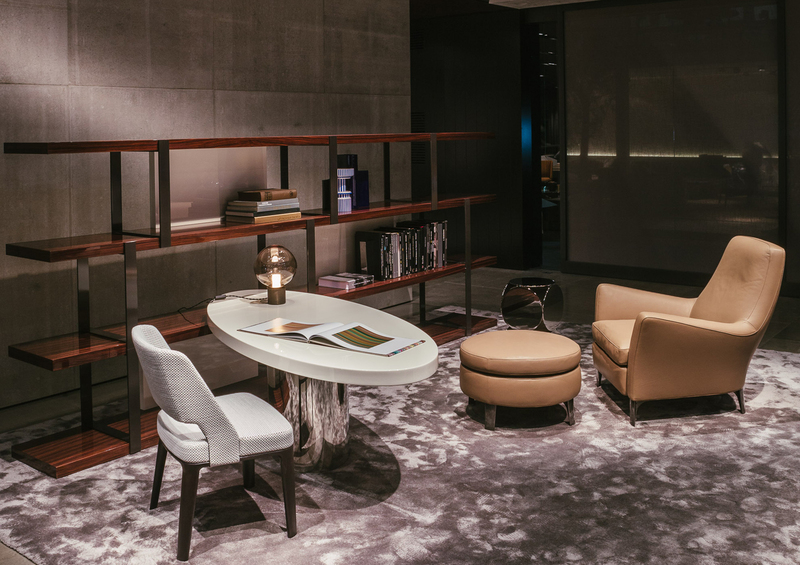 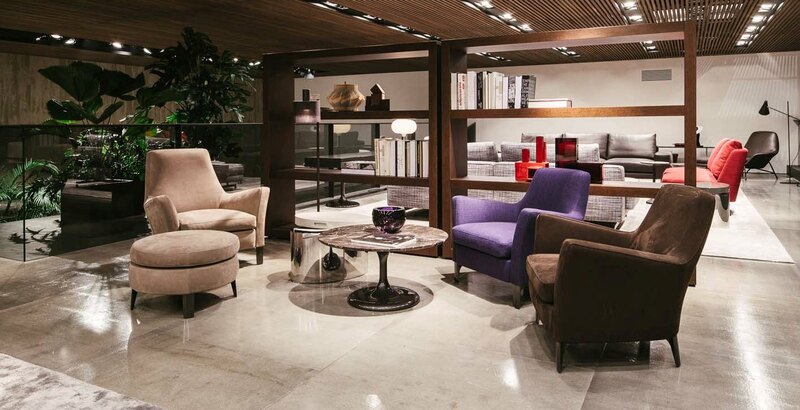 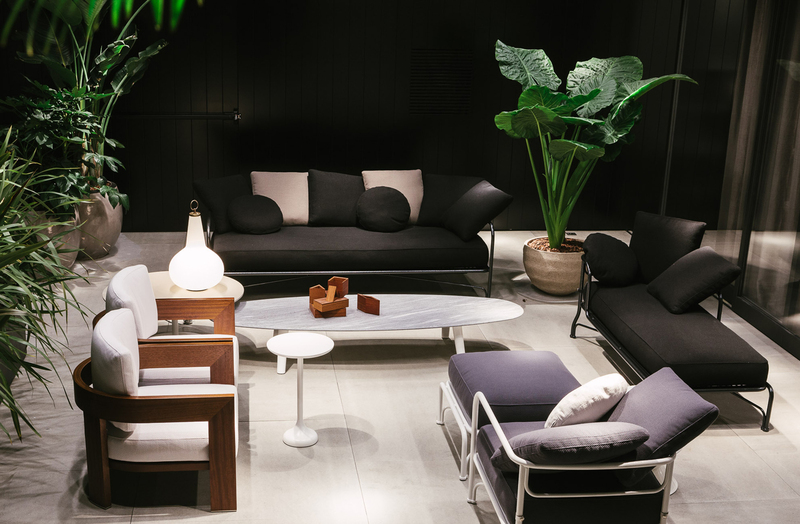 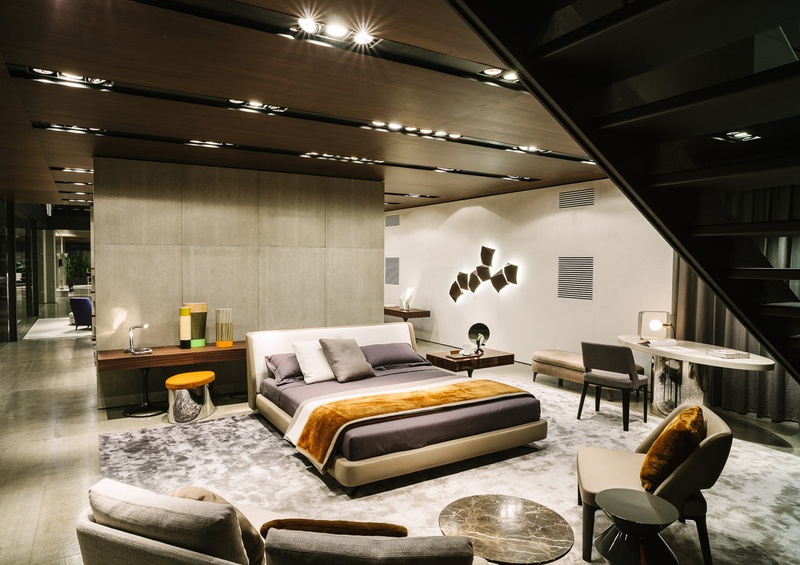 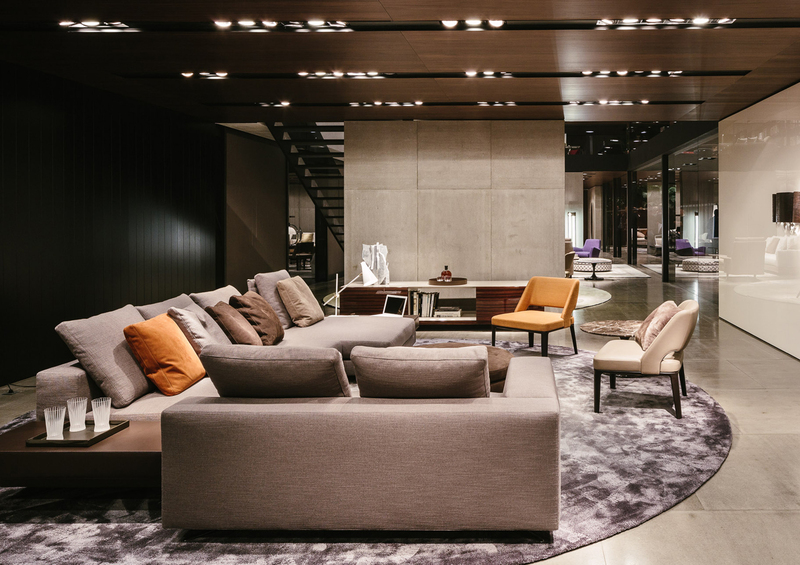 Products, quality, technology, communication, distribution, organization and service allow Minotti to tackle an increasingly more demanding and competitive global market in a concrete way, with passion. 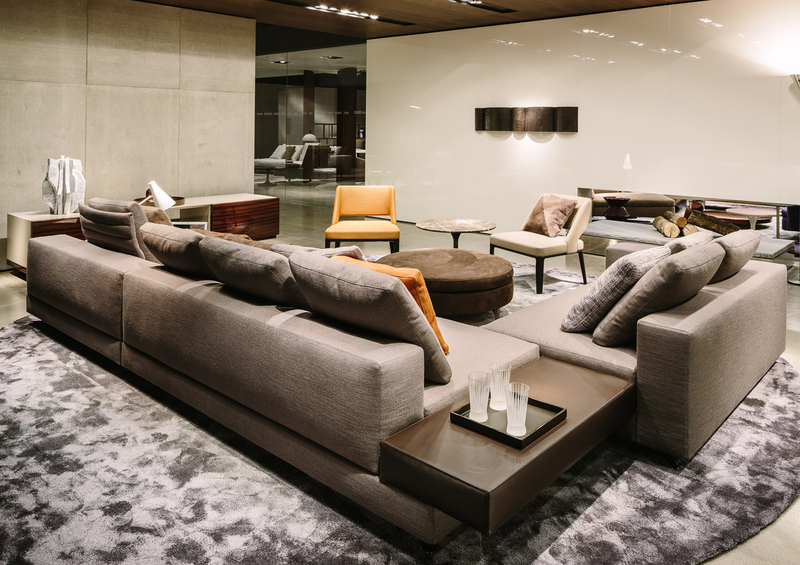 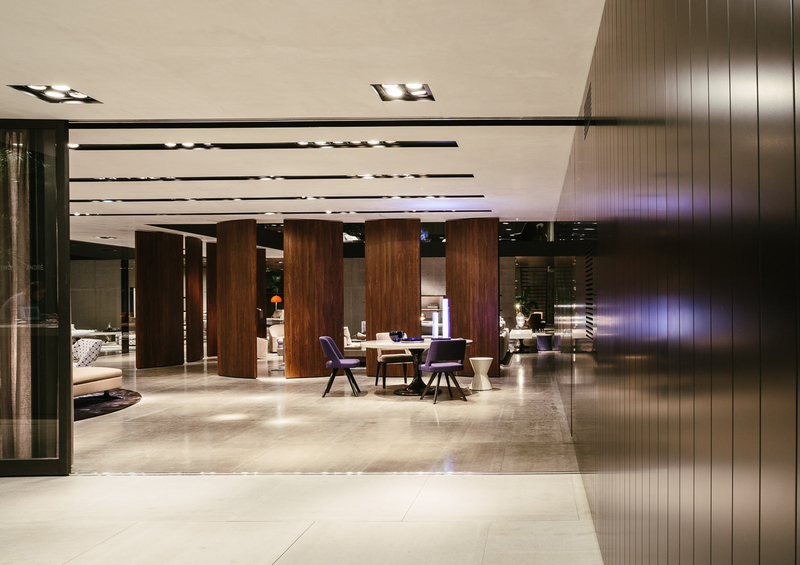 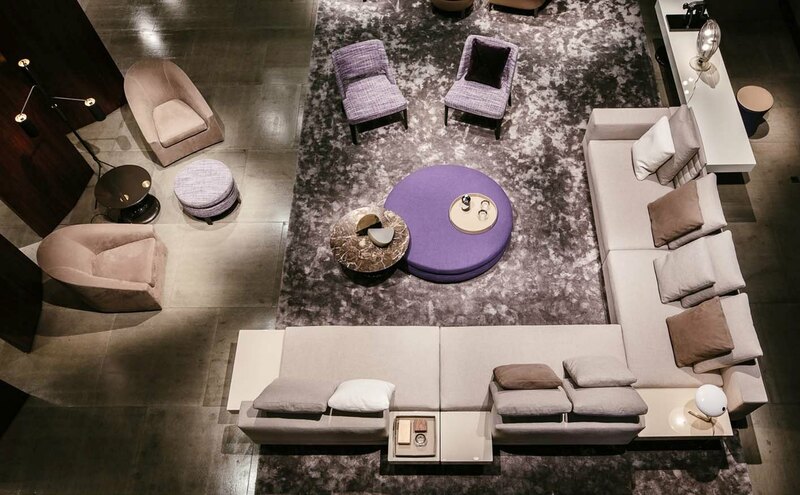 As in previous years, the Minotti exhibition space stands out for its innate elegance, an exercise in architecture that is not an end to itself but aimed at creating a setting where the installation and product meld admirably and help to create a unique, unparalleled brand experience for every visitor. 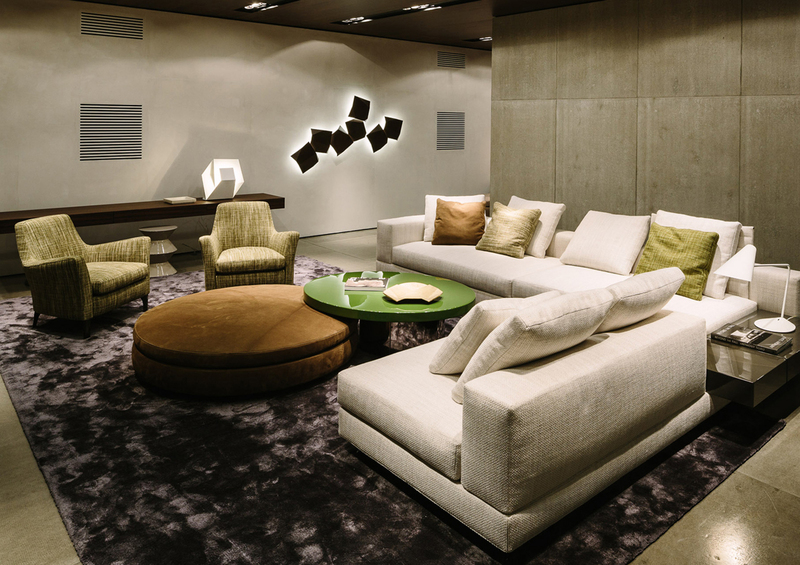 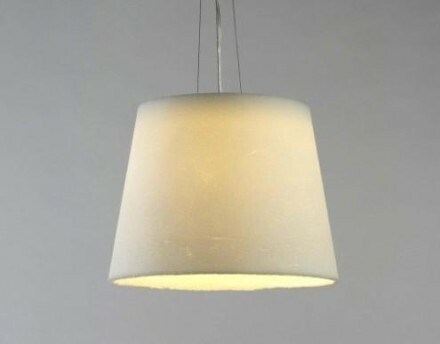 The seamless flow between inside and outside is ensured by the use of shape, color and material. 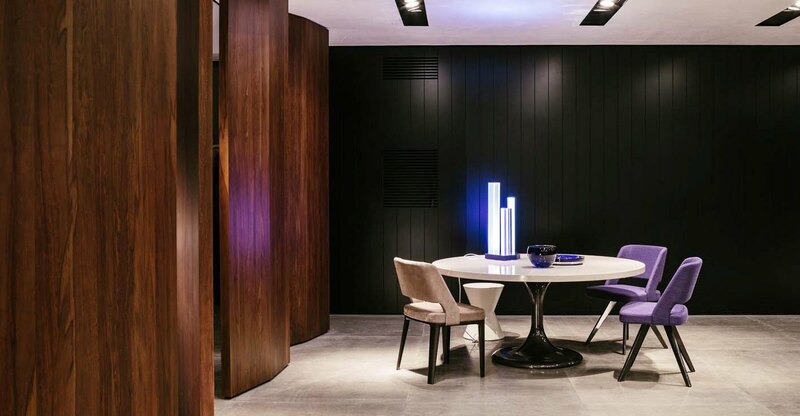 Black lacquered wood paneling alternates with white and concrete walls for an ultra eye-catching graphic effect. 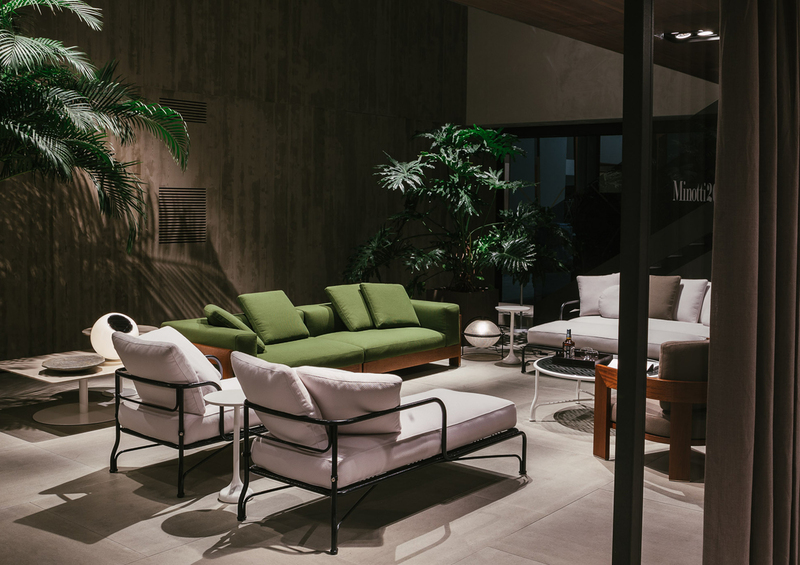 Understated yet refined wood and glass doors and windows help to give the visitor the idea of finding himself in a house that spills outdoors, also because of the many plants. 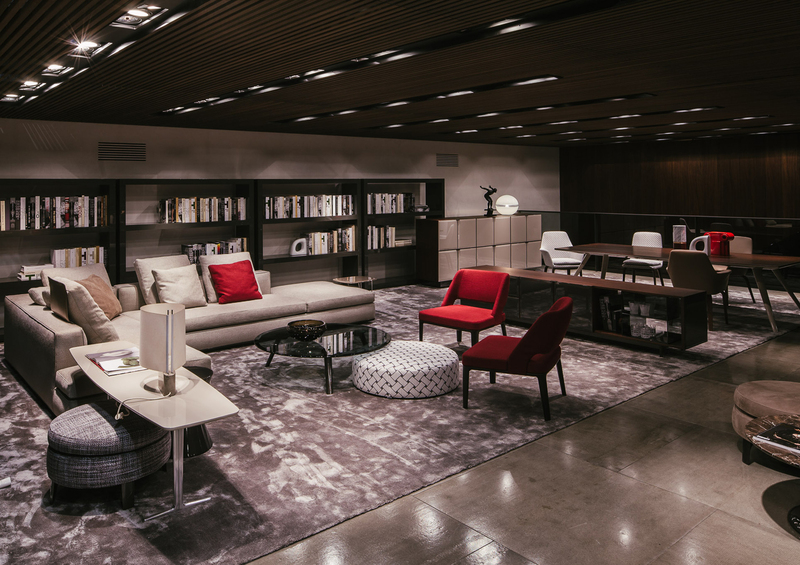 Various openings in the reinforced concrete slabs put the ground floor into visual communication with the intermediate floor, which hosts the lounge and work areas with the two floors connected by four glass and metal staircases. 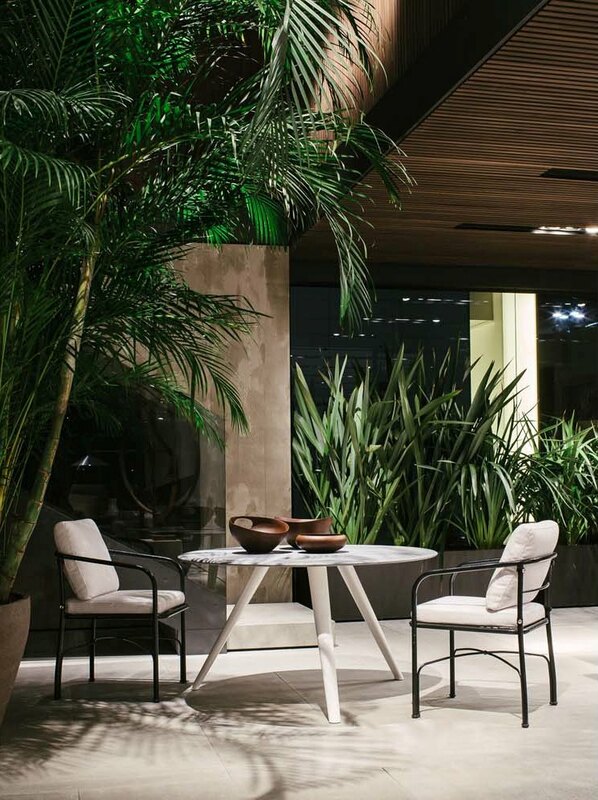 The ceilings in South American “red gum” with its very visible wood vein and soft colors and the concrete flooring, with a stone effect in the outdoor areas, complete this all-embracing architectural project. 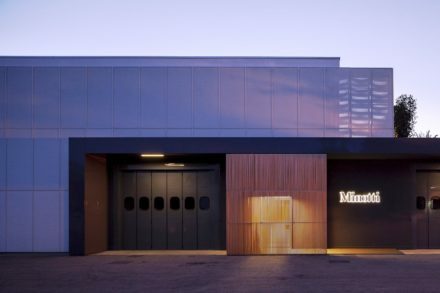 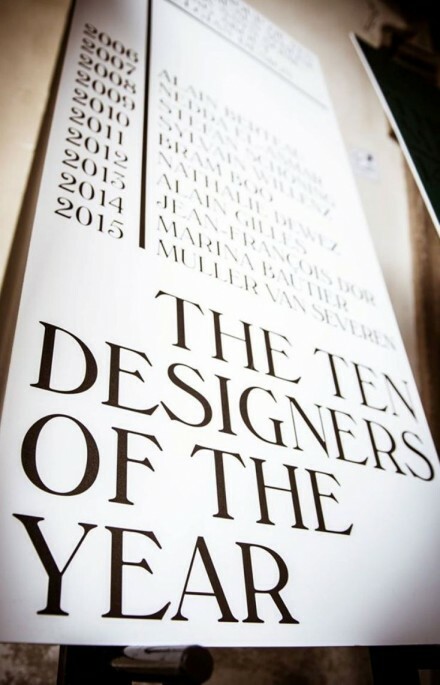 Bravo Minotti ! 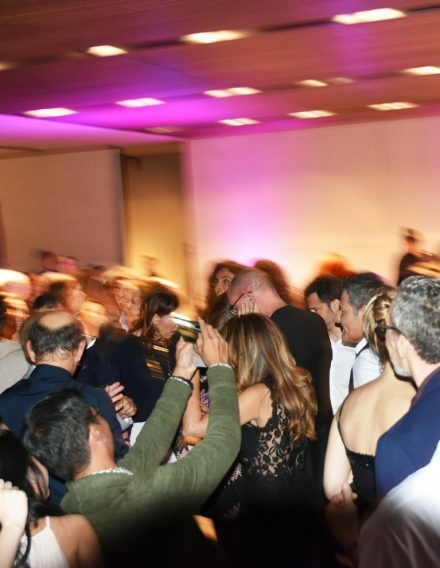 Bravo Rodolfo ! 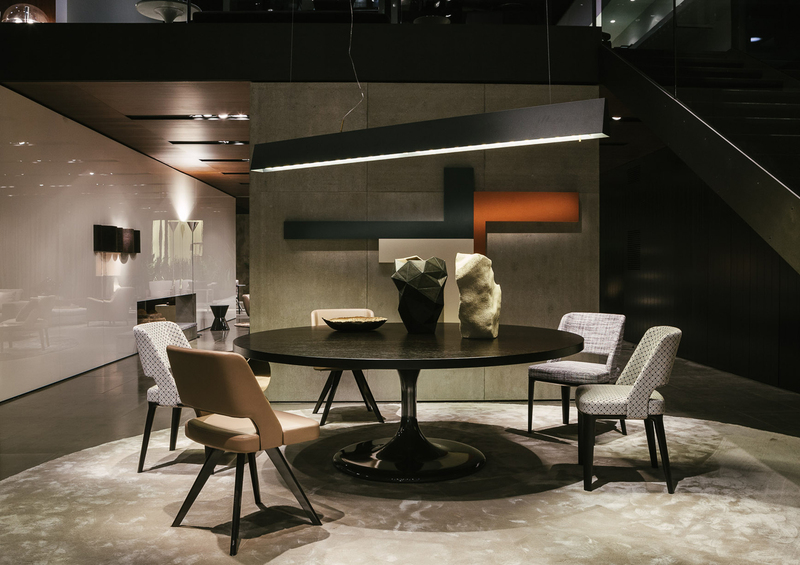 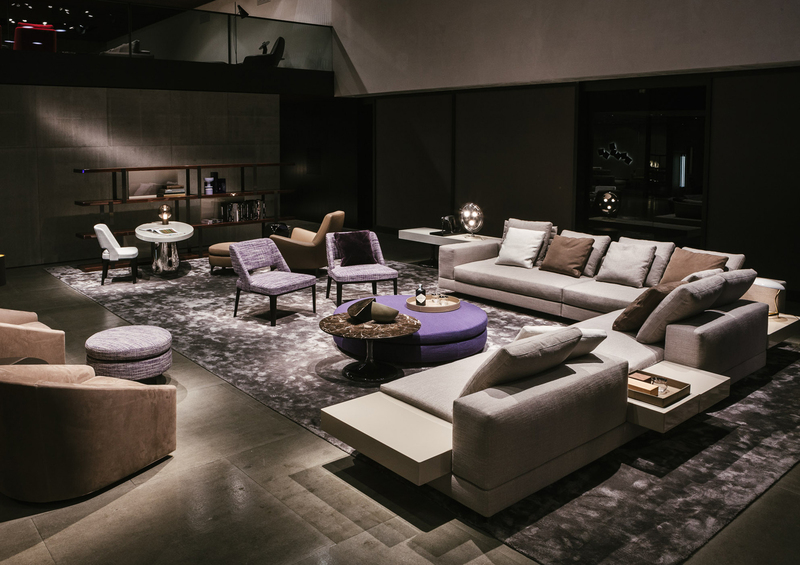 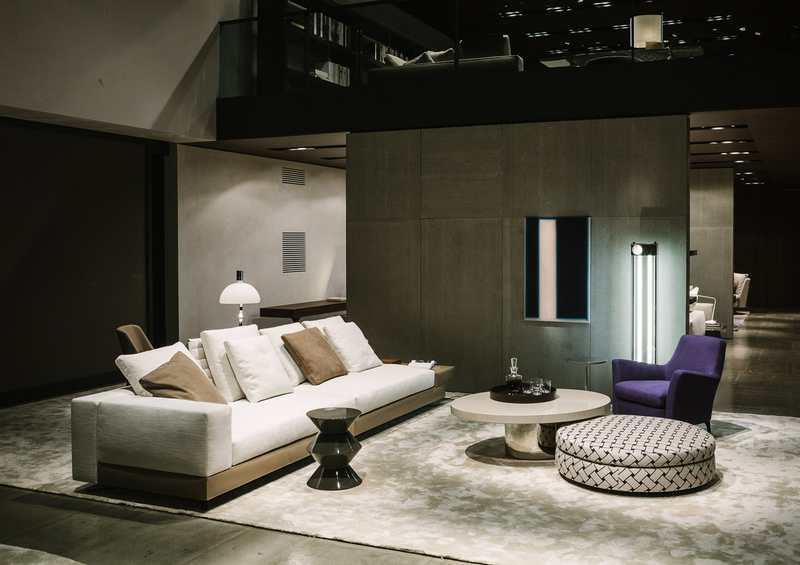 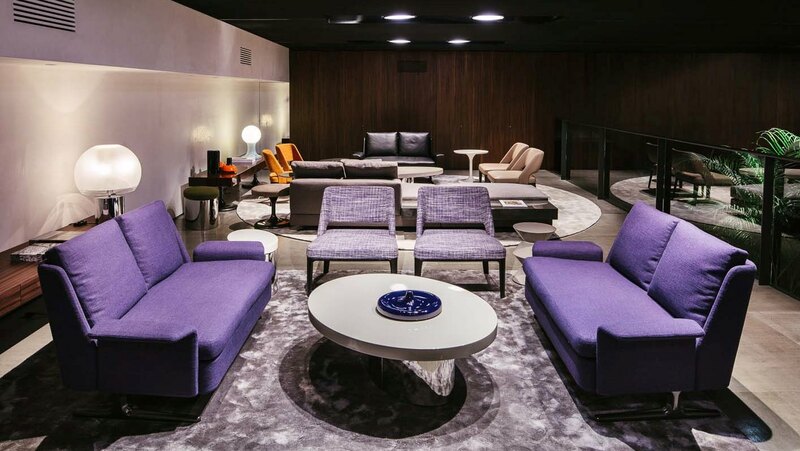 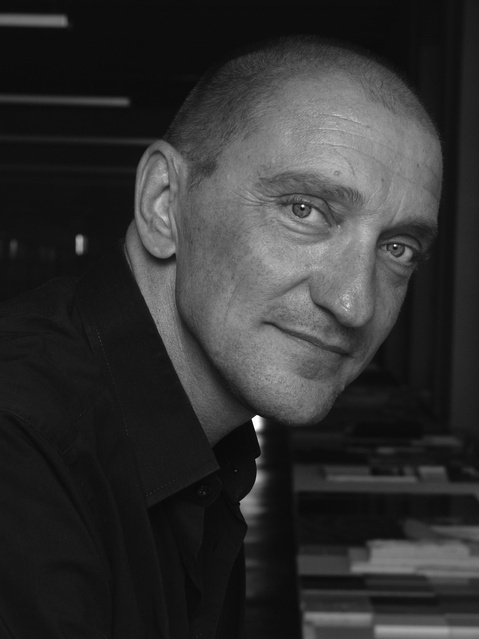 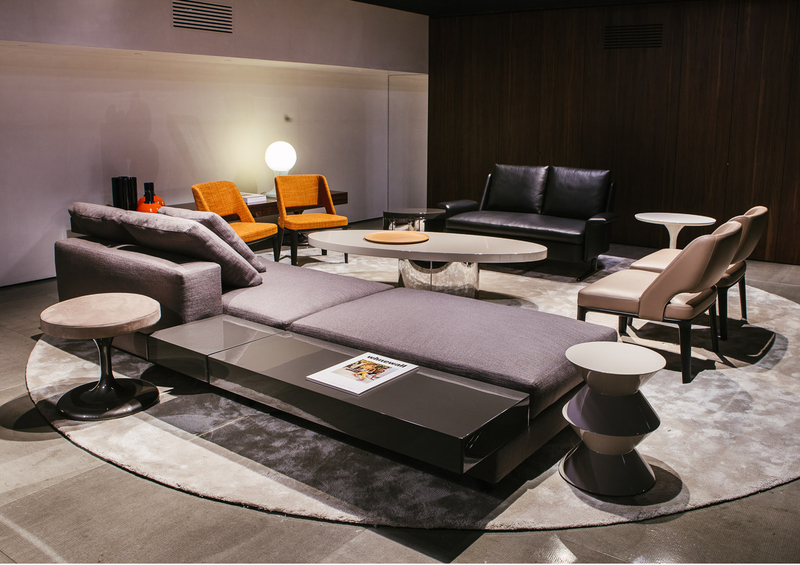 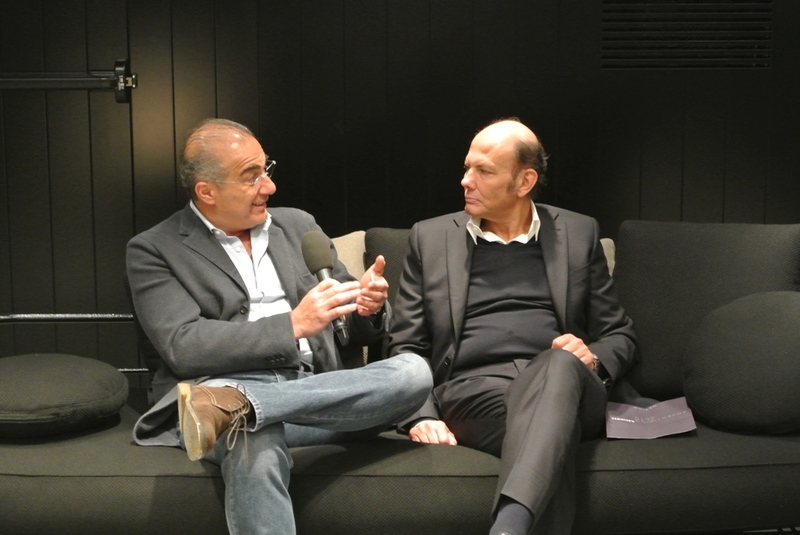 The eclectic spirit of the Minotti 2013 collection, coordinated by Rodolfo Dordoni and presented at the Salone del Mobile furniture show in Milan, is portrayed through an engaging 5-minute video.